Along with EML Files to TIFF Image, the software converts EML files in more than six file formats. After filling the entire information of the New collection form, you have to select .eml file before choosing the mode from the following options. Single File Mode: For this mode, one file can be added at once. After combining the selected data file, the software starts to scan them with required information such as Collection Name, Created On, and so on. Now, select the file that a user has to export EML Emails to TIFF format. After this, click on Export button. In order to convert multiple folders, use the Export option from a navigation bar. An organization is constantly facing an issue from the spammers and phishers attack on the main server. The main aim of the malicious entity is to corrupt the crucial data and also left behind such virus infections. Due to this, most of users are losing faith on security software companies. Therefore, many organizations have decided to keep the backup of essential data in the format which is less vulnerable such kind of attacks. daily as a result of which individual productivity of an employee declined which have negative impact on the organization as a whole. I want to integrate our large amount of data (20GB) dealing with such email clients which is robust in nature and have variant set of features. Is the software cable of converting bulk emails to TIFF format? Can the software easily export all attachments into TIFF image? What is the hardware configuration required to install this software on windows? Does the internal hierarchy of folders be maintained after using EML File to TIFF conversion tool? There is a wide range of incredible features that come associated with the EML file to TIFF conversion tool. This software includes bulk email conversion to TIFF format. Furthermore, EML To TIFF Converter can easily migrate each mails along with attachments. Also, there are more upgraded features including the data integrity of emails and preserving all the files as they were before. Will the EML file to TIFF conversion tool export multiple emails to TIFF file format? Yes, this software is capable to convert one or more emails by using ‘Folder Selection’ option from the Export wizard of the tool. Is it possible the software able to preview email attachments through the conversion to TIFF Image? 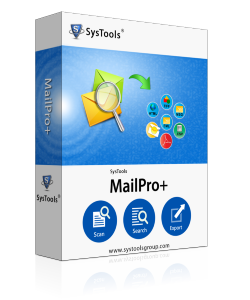 Yes, with this software you can easily preview the EML email along with corresponding attachments as well. Does the software allows to convert selected emails also? Yes, users can perform the selective conversion from EML file to TIFF file type. Is the metadata about emails preserves or not? Yes, the metadata about the emails will be preserved in the same way as it in the original file. Yesterday, I have tried to open multiple email messages but it will take a huge time. Therefore, I came across this EML file to TIFF converter software that allows to save all each email as TIFF images. I really liked the functionality of this tool and thanks to the software developer team for creating the reliable and attractive tool. As the TIFF format has more advantages over any other file formats available in the same category. It provides the advance functionality such as compression, flexibility to open or view on any platform. Furthermore, an image file format is less vulnerable for any corruption or any cyber attacks. Moreover, conversion of emails to .tiff file type is more feasible in terms of safety and security as well. Therefore, an automated solution is preferred i.e, EML file To TIFF converter which has capacity to convert multiple emails to .tiff file format in the minimum amount of duration.